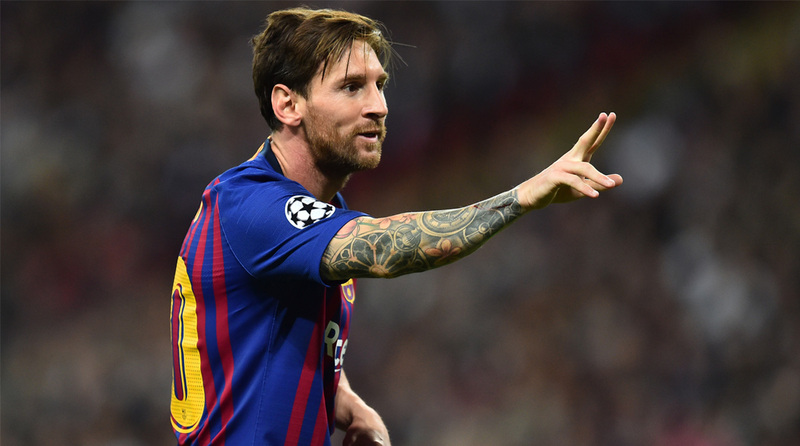 Lionel Messi continued his sublime form by netting his 31st La Liga hat-trick as Barcelona thrashed Levante 5-0 to regain their three-point lead at the top of the table. The 31-year-old Argentinian arrived in Valencia having scored two free-kicks in last weekend’s derby thumping of Espanyol. He took his goals tally for the season to 20 after a virtuoso display, while also teeing up Luis Suarez’s 35th-minute opener and Gerard Pique’s late fifth. “At the beginning it was difficult, they squeezed us and had a chance that hit the woodwork,” said Valverde Sunday. But Levante, who had ended Barcelona’s dreams of going through last season’s La Liga campaign unbeaten with a remarkable 5-4 victory in the penultimate game, came close to a quick response as Jose Luis Morales fired over. “I’m happy to have won here, because last year we came and they put five goals past us having gone the whole season unbeaten, so we knew about the danger of Levante and it was a match we had marked out,” added Valverde. He wasted little time after the restart to add his second in the 47th minute, sweeping home Jordi Alba’s clever cutback, before completing his treble with a simple tap-in from Arturo Vidal’s square pass on the hour mark. Messi has scored five goals in two league games since finishing only fifth in the voting for the Ballon d’Or earlier this month. Centre-back Pique added further gloss to the scoreline in the 88th minute, rampaging forward to collect Messi’s pass, before keeping his cool and rolling the ball home. Pablo Machin’s side are unbeaten in seven league games since a 4-2 loss at Barcain October. “In the second half we were the better team.” Elsewhere, Villarreal were plunged further into crisis as Samuele Longo’s 93rd-minute strike saw them held to a 2-2 draw at bottom club Huesca.